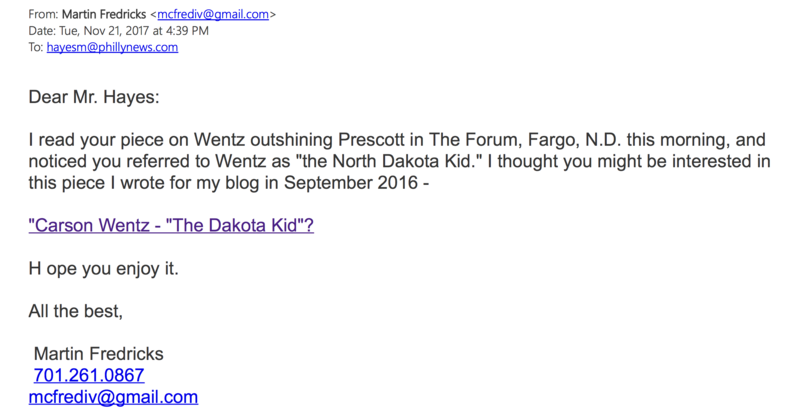 Right away, a blog post I wrote 14 months ago came to mind: Carson Wentz – “The Dakota Kid”? Good stuff. I look forward to following Marcus more closely.